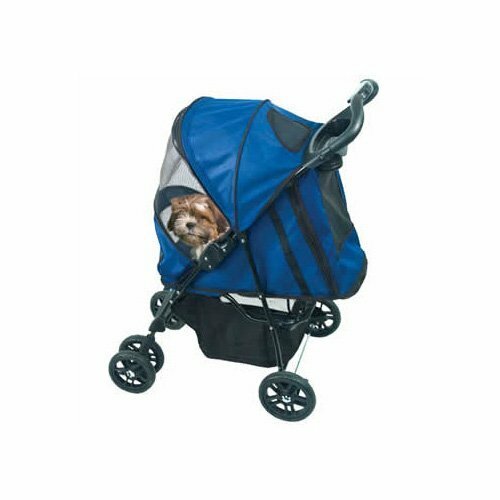 Right now you are viewing Pet Gear Happy Trails Plus Pet Stroller with Weather Guard for cats and dogs up to 30-pounds which is one of our many available strollers from the manufacturer Pet Gear. Order this awesome stroller right now or look through our store for other similar choices. PG8100SA Color: Sahara Features: -Nylon, plastic, polyester fleece material.-Parent tray.-Large storage basket.-Ergonomic one hand fold, and stores flat in just 5 seconds.-Front and rear entry.-Top, front, and rear ventilation.-Front wheel shock absorbers.-Mesh windows keep out bugs.-Waterproof tray.-Great way to take your pet with you on a long walk through the park.-Walk around the block, or maybe even shopping at the mall.-Safely contain and protect your pet wherever you go.-Quick fold and features a pad for food or if your pet goes to the bathroom inside of the stroller.